Huntsman is a major global Chemical company with annual sales over US$ 10 billion. MTP has been developing and delivering the Huntsman Business Foundation Programme over the past 15 years, which we lead on a global basis several times a year. Make decisions with greater understanding of the financial implications. Understand the key tools of business to business marketing. Adopt appropriate leadership and influencing styles to make effective contributions to the business. Deliver more effective business plans. 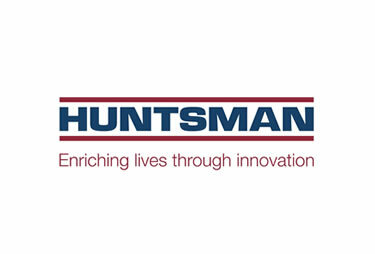 Make an improved contribution to Huntsman’s business success. The programme is delivered face-to-face for groups of around 20 participants at different locations in the world. Programmes have been run in America, Asia and Europe on a regular basis. Each of the four modules takes three days, with intervals between modules of several months. Pre-work on basic business concepts. The completion and analysis of validated questionnaires – SDI, MBTI and Situational Leadership to develop greater understanding of self and others. Tailored case studies and exercises, based on Huntsman business scenarios. Contributions from Huntsman specialists, relating to local issues. An interactive, competitive business simulation, reinforcing learning and emphasising business dynamics. Very insightful. I learned a lot that will help me improve my leadership skills. Well done! I’ve attended a lot of training, studied a lot on Leadership. One of my best classes I’ve attended. Learned a ton. Chris was very engaging and took the time to thoroughly explain sections of the course which I did not comprehend. Job extremely well done. Excellent course and well structured. Great class, one of the best as far as take away. Appreciate the preparation, handouts, case studies. Useful content and good delivery.